This document is an Alternative Assessment that I created for my Honors Precalculus class. The file is a Microsoft® Word document so that you have the ability to edit it. 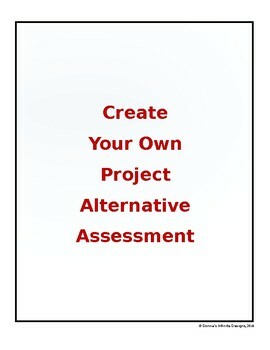 This can be modified for any class or any subject. 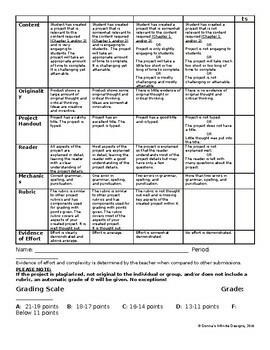 The rubric is attached but can be modified to suite your needs. I underlined all words that will need to be altered according to your classroom and academic subject needs. My students love doing this project!